The curve in black is plotted with the x-y axes reversed in red. 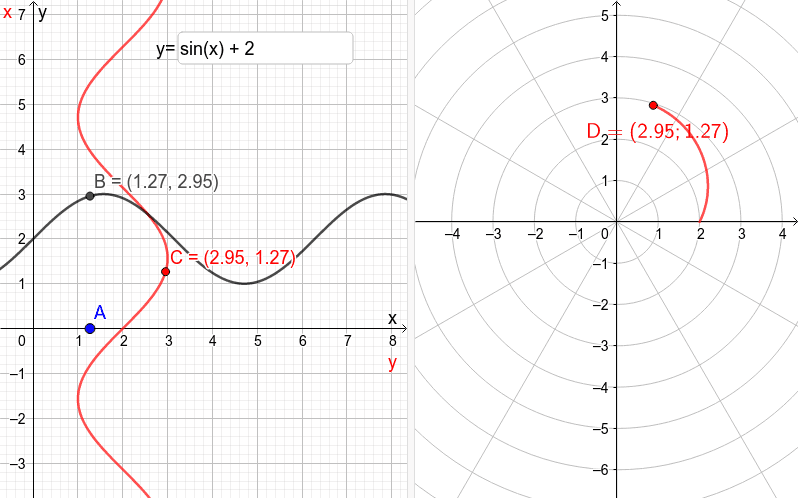 This is to align the x=0 Cartesian line and the θ=0 polar line. Drag the blue point A to see how the red curve is wrapped around the pole in the polar axes. The function can be edited in the input box.